Are you into pain? Are you into not having no sensation in your legs anymore? Having your lungs gnaw their way out of your ribcage to escape what you're doing to them? Are you into mud? Then Spartan Race is for you! 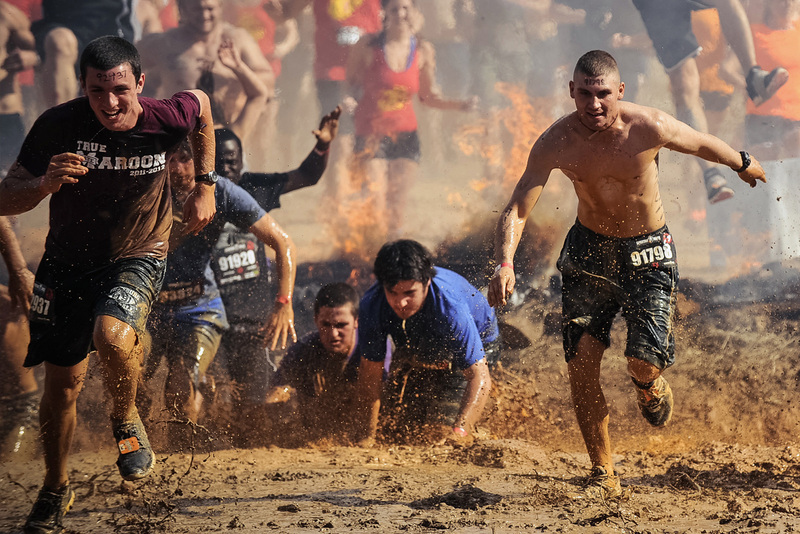 It's like Tough Mudder, except if Frank Miller wrote it. It's a good time. A bonding experience. An opportunity for growth, and for white collar gymrats to see how they would've fared during the siege of Athens. If you want an idea of what Shanghai's version of the international obstacle race looks like, we did a gallery last year of people spitting out mudwater. This year it's happening on May 11 (exact time TBA). Plus, tickets are now available. Details on the race and how to sign-up after the jump. Like last year, there're two races: a 5km+ Spartan Sprint with 23 obstacles, and the 12km+ Spartan Super with 28 obstacles. There're also three categories: Elite, Age Group and Open. Elite and Age Group are the real deal, where you compete individually for a place in the world rankings in the Spartan Super race. You're on your own. Last year some Leonidian lunatic called Payen Yann beat the Spartan Super in 43 minutes and 6 seconds. The Open category is the weekend warrior one: just do it at your own pace, with or without friends, and get a t-shirt and a medal at the end. It's taking place on a specially designed course in Sunland Green. The obstacles and stations include vaguely Spartan things like throwing spears, hoisting ropes, carrying giant stones, scaling walls, and jumping over fire. New obstacles this year include the 8footbox, the "low rider" and the "Armer," where you can only carry one weight ball at a time. Failure to do an exercise means 30 burpees, which the Hague classifies as a war crime. Sign-up is available over on SmartTicket: 589rmb for Elite, 439rmb for the Sprint Open Category and 499rmb for the Super Open. Group discounts available for teams of more then 20 individuals. There's also a kid's version of the race, an excellent way to prepare your child for the apocalypse.